Bournestream lies in the foothills of the Brendons, close to both the Quantock Hills and Exmoor. 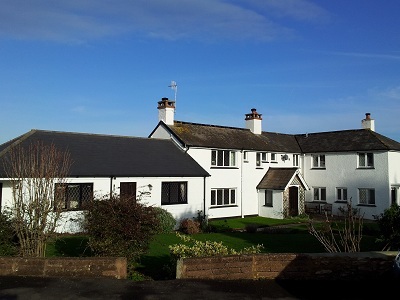 The delightful house is adjoined by a self-catering cottage. Surrounded by 400 acres of the family farm with sheep, cattle and race horses. You can watch the horses on the gallops from the property. Excellent walking, not only on the hills but along the dramatic coastal footpaths. Places to visit include Dunster, with its castle and deer park; and Minehead with its beach, the West Somerset Railway and Wimbleball Lake. Bournestream has an outdoor heated swimming pool (weather permitting - end of May to end of August) and a secure garden. Bournestream is a no smoking property.